THE CHOICE IS CLEAR. EVERY DAY MORE PROFESSIONALS ARE SWITCHING TO ECHO. The CS-355T is Our Crowning Achievement. 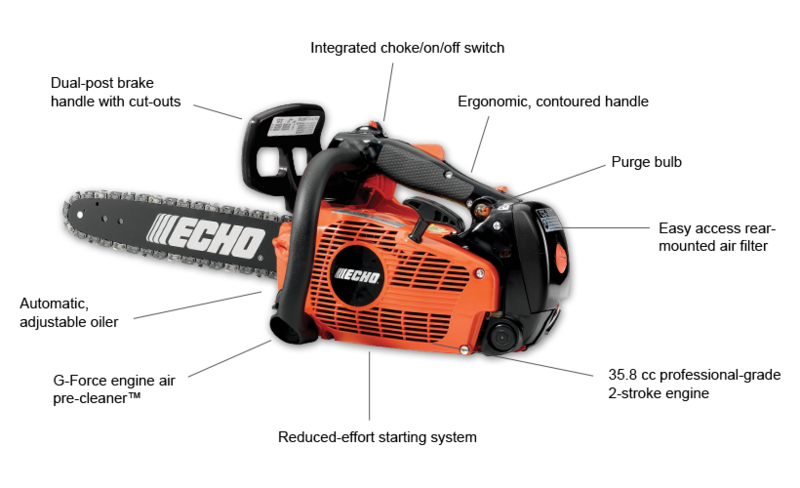 It represents the most advanced, powerful and ergonomically correct top handle saw ever produced by ECHO. 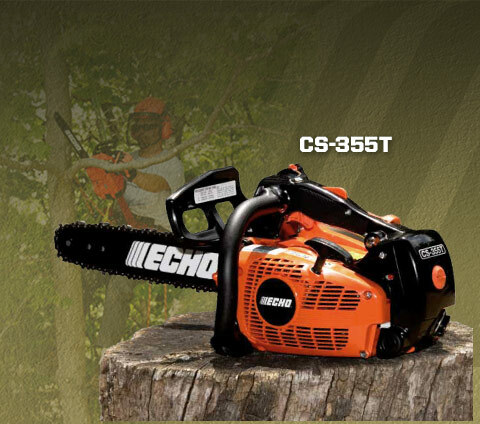 CS-355T IS THE CLEAR CHOICE! ^ 2013 EPA Engine Certification Data ^^ 2011 EPA Engine Certification Data *Actual measured weights without bars and chains.